LONG TERM EXPOSURE to even low levels of air pollution increases the risk of lung cancer, according to a new Europe-wide study of over 300 thousand people published this morning in medical journal The Lancet Oncology. Data from nine countries – from Britain to Greece – was analysed as part of the research, which assessed the impact of long-term exposure to pollution from sources like traffic fumes, industry and domestic heating. Researchers estimated the concentration of pollution at the homes of those taking part, and then applied models to separate the influence of pollutants from other factors like smoking, diet and occupation. Over 2,000 people developed lung cancer during 13 years of follow up study. 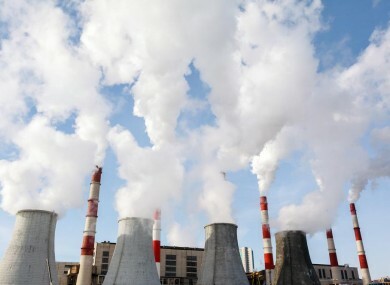 The analysis found that for every rise of five micrograms per cubic metre in smaller air particles, the risk of lung cancer rose by 18 per cent, with the risk rising again in relation to higher pollution levels. The association between particulate matter air pollution and the risk for lung cancer persisted also at concentrations below the existing European Union air quality limit values. The study’s authors said there was “no threshold below which there was no risk”, with the results showing a picture that “the more the worse, the less the better”. Active smoking remains the main cause of lung cancer, with exposure to residential radon, and second-hand tobacco smoke also well established risk factors. Email “Even low levels of air pollution can lead to lung cancer, major new study shows”. Feedback on “Even low levels of air pollution can lead to lung cancer, major new study shows”.